Where instructors and editors talk writing. Have you ever heard the expression “read the room”? This is a concept, familiar to anyone who does public speaking or entertaining, in which the person on stage does a quick scan of the audience. A comedian, for instance, will look for signs that indicate the group will be receptive (or not receptive) to certain material. A motivational speaker might “read the room” and note that the audience’s energy is lagging at the end of a long day. In each case, the speakers will alter their material to suit the needs of the audience with whom they’re working. Writers also have to read their rooms, but in these cases, the rooms are not visible. Writers can’t sense the reader’s energy level or note observable physical characteristics that might provide clues about the reader's mood. The best we can do in these cases is learn as much as we can about who our reader might be. 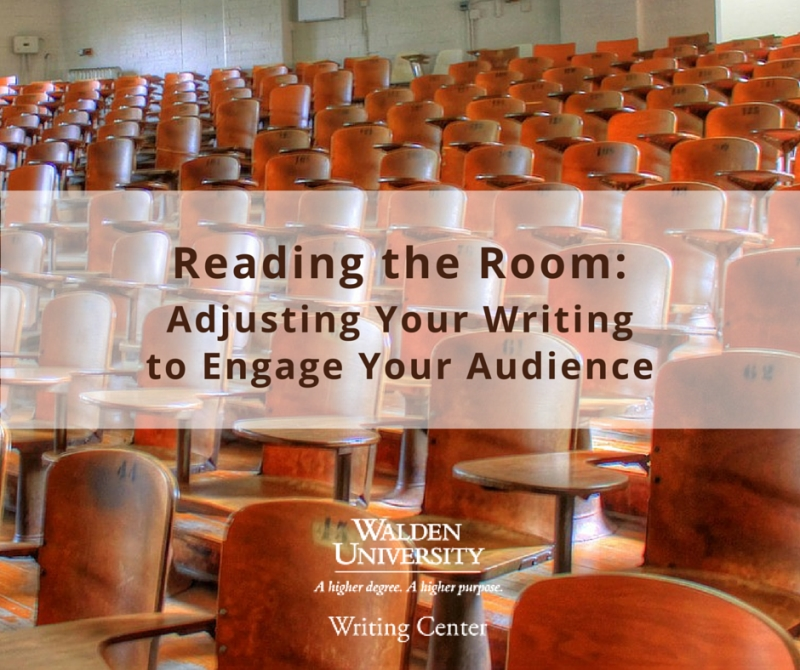 In this blog, for instance, I’m aware that many of our blog readers are Walden students with busy schedules but an interest in strengthening their understanding of scholarly writing. For this reason, our posts are relatively short, with a focus on practical application of writing concepts. Our readers are also from many different countries and generations, so I’m attempting to avoid references to popular culture or colloquial terms that might not reach all readers. This is how I read the room. In any field, there are those words that only other people in your field truly understand. If you’ve been in your field long enough, you might not even recognize these words as being jargon; they sound like regular words to you now. When you write for an audience outside of your field (e.g., a specialist in clinical psychology writing a short piece on bullying for her daughter’s school newsletter), you’ll need to check your work for words that will not hold meaning for that audience. If you include too many terms your reader doesn’t know, that reader will likely lose interest. Although it is more appropriate in nonacademic writing than in your scholarly work, humor can be problematic. It is highly subjective, and there’s a risk of confusing, offending, or even just boring your readers if you use humor that doesn’t speak to them. Before you submit writing that contains humor, consult with several trusted colleagues or friends to ensure that your joke will engage rather than alienate your reader. As an expert in your field, you have an abundance of knowledge that you can pull up at any moment, but face it: Some of those facts are more interesting than others to the general public. If you’re the psychology specialist writing in your daughter's newsletter from our earlier example, for instance, writing about the current methodology in bullying studies is probably not the “hook” needed to get fellow parents reading. Instead, you might choose an interesting statistic about the rise (or decline) in bullying, or you might relate some of your research to a real-life anecdote to help draw the reader in. Look for this sort of hook to help ease the reader into your topic in an engaging way. As with any audience, you’re not going to be able to please everyone. By thinking carefully about what your readers know and want to know, however, you’ll increase the odds of them making it through your piece. How does the academic writing you do help you outside of school? Will your writing skills matter in other contexts? When will you use writing after you graduate? These are some of the questions we're covering this month in our Writing Beyond Academia series. If you're just joining us now, check out our latest WriteCast podcast episode on "How Academic Writing Helps You Beyond Academia." As always, we welcome your thoughts and questions in the comments! 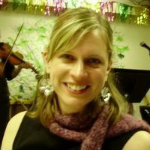 As the Writing Center's manager of program outreach and faculty support, Amber Cook's main focus is supporting faculty in their work with student writers. This work by Walden University Writing Center is licensed under a Creative Commons Attribution-NonCommercial-NoDerivatives 4.0 International License.